To plant an apple tree, you need to have either apple seeds or buy a plant at a nursery or garden center. Planting an apple tree requires thinking first about where to get it, knowing that it can adapt to small spaces, but also take a lot of space if you have enough land. For the smallest areas, you can opt for cording against a wall, espalier on a fixed structure, bush or tree with a long or short trunk. It is also crucial to ensure that apple fertilization is assured since it is necessary for the transformation of flowers into fruit. If some varieties of apple trees are self-fertile, the majority will need to be close to another apple pollinator. These are either apple blossoms or compatible apple trees (compatibility are to be checked according to the varieties). If you live in an area with lots of gardens, it’s a safe bet that pollination (provided by wind and bees) will be smooth. 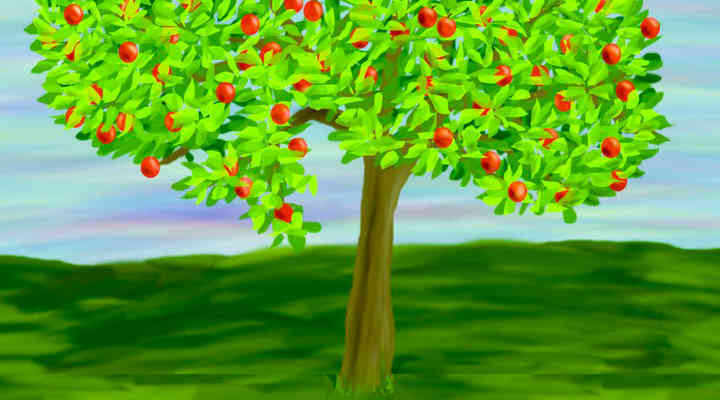 If you live in an isolated area, it is best to plant several compatible apple trees. 2 When to Plant the Apple Tree? 5 How to Grow a Potted Apple Tree? 6 How to Grow an Apple Tree From Seeds? 7 How to Plant an Apple Tree with Bare Roots? The scion: It is the upper part of the plant that controls the type of fruit. 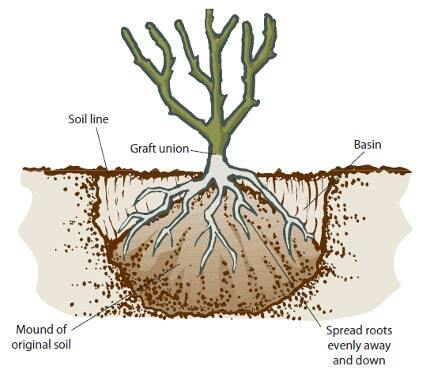 Check the root system of the plant by removing the bucket: do not take those having too much root system. When to Plant the Apple Tree? Generally, the apple plantation is done between November and March, except for periods of extreme cold that make the soil hard to work. It is good to follow the old proverb “At Sainte Catherine (November 25), all wood takes root”: the tree enjoys winter rains, which is ideal for the development of the young tree. Planted too early or too late, the greedy vegetative system will slow root development. So if you bought a plant, put it in the ground as soon as possible. 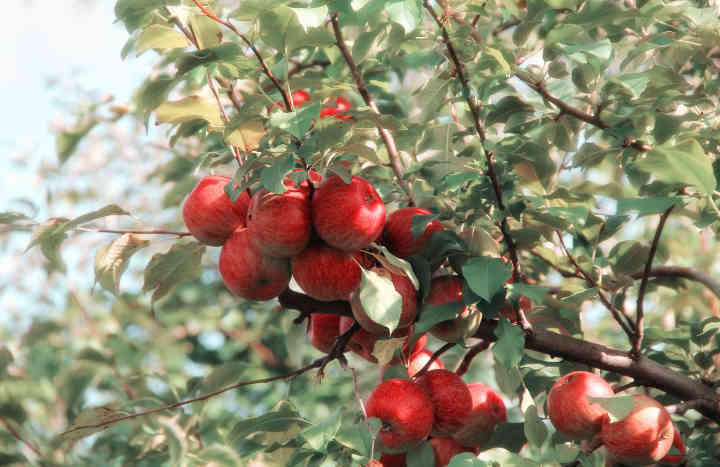 Which apple tree to plant: In cold climates choose late-producing varieties. 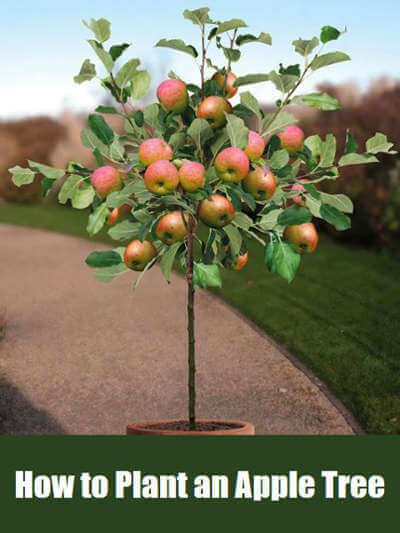 The varieties of dwarf or columnar apple trees are particularly well suited to growing in pots on a terrace. Soil: well-drained, rich. Avoid stony and dry land or too wet. Weather condition: hot and sunny situation. Sheltered from wind and cold. Plant several fruit trees in one space because of cross-pollination. Most of the apple trees need to be pollinated by another. So, plant different varieties for better pollination. Dig a hole approximately 60 cm deep and 80 cm wide. Loosen the soil. Mix some crushed horn with the soil at the bottom of the planting hole or fill the gap with a mixture of soil, compost, and composted manure. When planting, always have the collar or graft point above the ground(10-15 cm). Put in a wooden stake place to prevent the trunk from slanting with the wind. Reduce the size of the branches to one-third of their length to promote rooting. Always disinfect your pruner before pruning to avoid transmitting the disease to the tree. Allow bevel to flow the water into the roots. Apply a preventive treatment against apple worm (Codling moth) in early June. 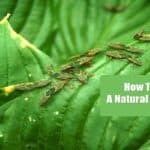 You can also attach cardboard strips around tree trunks or use pheromone traps to trap insects. How to Grow a Potted Apple Tree? Some dwarf and self-fertile apple species are ideal for growing in a pot on a terrace or balcony. 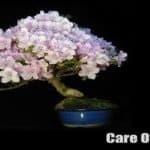 This tutorial explains how to plant and maintain such a tree. How to Grow an Apple Tree From Seeds? Remove the seeds from the flesh of the apple fruit. Choose seeds of different varieties. Pass the pips in cold water. Place the apple seeds in a cloth letting the air through. Store them in a room where the temperature does not exceed 15 ° C for 2 or 3 days. Stir them occasionally and make sure insects do not attack them. Prepare a container with wet sand. Lay several layers of seeds on the sand. Cover lightly with damp sand. Place the bin in a cool place for 2 or 3 months. Mix potting soil with garden soil. Wait a year and transplant the plants to the desired location. Good to know: It is also possible to plant sprouted apple seeds directly in the ground mixed with potting soil. How to Plant an Apple Tree with Bare Roots? In a nursery or garden center, you have to choose between an apple tree sold in a container or the pot and an apple tree with bare roots. Bare rooted trees are usually cheaper to purchase but must be planted in the next few days, unlike clump trees that can stay in their pots for several weeks. When buying, make sure that the roots are not dry, in which case it will be necessary to make praline. Provide an organic fertilizer rich in nitrogen in each spring of the second year. 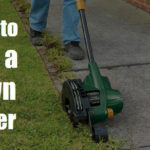 In the fall, bury a fruit fertilizer to ensure good fruiting. Support overcrowded branches of apples. Give quantity amount of water during the first years of cultivation in dry weather. February: spray along the branches and the trunk a product of late winter against the overwintering forms of insects. At the end of the month, spray Bordeaux mixture as a preventive measure against the primary diseases. March and April: as soon as the buds swell, apply a complete treatment, followed by another application to bursting and when the flower petals fall. October: protect your apple trees from chance as soon as the leaves have fallen with copper oxychloride. Apple Scab: It is manifested by brown spots on the fruits and then on the leaves. If the contamination is important the fruits crackle. Apple Canker: Produces on the bark lesions that widen gradually and can cause the death of the upper part of the affected branch. Oidium: In spring it covers the leaves, floral peduncles, fruits and young shoots of a white-gray felting. The affected leaves become deformed and fall. Monilia: Causes concentric rot of fruit on the tree. Codling Moth: Apple worm, the caterpillar digs the fruit.